Full discloser… I love Aaron Sorkin. His new HBO show,Newsroom, brings me back to the good old days of West Wing. He, again, has a Soap Box to (rapidly) verbalize the woes (of both the Right and Left) of our country… and there are many. Speaking of television, I’m also looking forward to the return of Showtime’s 2nd season of Episodes this weekend. It is one of the funniest and most irreverent shows on TV and does a hilarious job of poking fun at the Hollywood community. Speaking of entertainment, condolences to the family of Nora Ephron on her passing at the young age of 71. She is famous for so many wonderful movies like, Sleepless in Seattle and When Harry Met Sally. Also, she wrote the movie Heartburn (string Jack Nicholson and Meryl Streep) about her life with ex-husband Carl Burnstein. Her talents will be greatly missed. Too bad the flood waters from Tropical Storm Debby on the Florida panhandle couldn’t be diverted to the drought stricken West. Our son is on a Western bound camping trip which will need to stay clear of the wildfires in the area and avoid all campfires. Has anyone read any articles in any newspapers about Hamas’ rocket attacks into Israel every day this week. As always, I seem to miss the front page (or any page) news of this. During our last visit to Israel, we saw an amazing presentation of the (Israeli invented) Iron Dome protection system which thankfully is nearly 100% accurate in destroying incoming missiles. Thank you, U.S. Government, for your life-saving financial assistance with this system. Israel, in turn, is sharing this amazing technology with our US military. I couldn’t end this week’s message without applauding our Supreme Courts decision to uphold the Affordable Health Care Act. Speaking of life-saving, this will literally save the lives of millions of Americans who currently do not have access to medical care (aside from a few underfunded free clinics or emergency rooms). Our country is in grave (pun intended) need of affordable health care for all citizens and I hope we are on that healthy track. Please enjoy this wonderful poster I received my our dear friend, Neal. 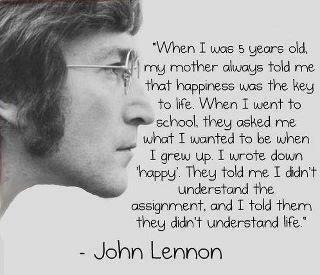 It says it all and I whole hardily agree with its message. 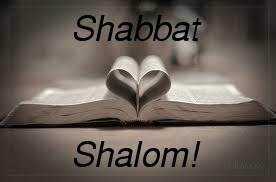 Wishing you and your loved ones a Sweet and Peaceful Shabbat Shalom and a wonderful Independence Day celebration. Mazel Tov, Jim and Carolyn, on opening their new Birmingham restaurant, Social. Can’t wait to sample the flavors. Thanks for investing in our community (in SO many ways). Also looking forward to the opening of Ferndale’s hotspot, Local (Thanks Brian and Geoff for your energy and creativity). Mazel Tov to Kirk Douglas on his 3rd (YES 3rd) time becoming a Bar Mitzvah. His first was at age 13 (like others), his 2nd was at age 83 (as tradition after 70 years) and his 3rd at 96 (after another 13 years). Ken Ahora, as our bubbie’s have trained us to say (without the evil eye). OK, gotta start the warning. 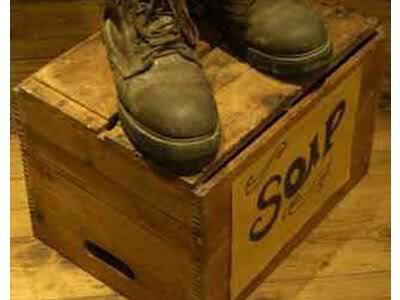 Our elections are approaching and these Soap Boxes might get a bit preachy. I promise to be respectful and responsible. Our Michigan Primary is Aug. 7th (less than 6 weeks away). Get involved. Help support your candidate. Educate yourself about the ballot proposals. Please do what you can. Congressman Gary Peters needs your primary vote since his new district is mostly Democratic so his important race is Aug. 7th. During the primary election you must select a party ballot (in other-words, you can only vote on a Republican ballot or a Democrat ballot) so, if you are in Gary’s (14th) US Congressional district, please select a Democrat Ballot and vote for Gary, but if you are NOT in Gary’s but still in Bubba’s (39th) State district, please vote for Bubba. If your are confused, please email me. “Why can’t we all just get alone?” These were famous words from Rodney King after his brutal attack by California police officers. When will his question be answered? Certainly not in his short lifetime which ended this week at the age of 47. What is the magic spell which will allow us to see eye to eye (as apposed to an eye for an eye) and ultimately bring peace to the world. I’d say a lot less selfishness, stubbornness and closed-mindedness might get us on the right track. Also, a lot more Tikkun Olam (repairing the world) couldn’t hurt. As I am writing this email (Thursday evening) there is the most beautiful rainbow outside my window. Not sure if anyone else in this area saw it. The sky is so stunning tonight. Several friends have lost loved ones recently. Condolences to Judy Liebman (and her family) on the passing of her brother, Dr. Norman Letvin who was a brilliant doctor working on HIV research at Harvard Medical School. Condolences to Fran Victor (and her family) on the loss of her beloved mother, Helen Victor. Condolences to Rabbi Harold Loss (and his family) of the passing of his dear father, Martin Loss. Please make sure to VOTE in our Michigan primary on Aug. 7th and if you will be out of town, please pick up an absentee ballot at your city clerks office. Sadly after 35 years, Tom and Ray will halt their hilarious Car Talkshow in late September. Weeekend mornings will not be the same without the antics of Click and Clack sharing car stories with their viewers, though NPR says they will rebroadcast old episodes indefinitely. In June of 1969 the Stonewall Riots were the first uprising against our government’s persecution of the gay community and the spark for the Gay Rights Movements. Much has improved in 43 years. June is now Gay Pride Month here in the U.S. and across the “pond” one of the largest celebrations took place in Tel Aviv with tens of thousands of peoples from all over the world packing the streets with a parade and beach party. Tel Aviv is a bubble in the Middle East as many of her neighbors still persecute or kill those who are discovered to be gay. And speaking of rights, this week marks the 45 anniversary of the Supreme Court decision (Loving vs. Virginia) to end all race-based restrictions on marriage. I’ve returned to the encrypted (and admittedly more fun to write) birthday announcement for the following June celebrants: Sue C (Imma of 4 to Mike’sEshet Chayil), Carly M (our NYC artist niece), Chris M (mom to our NYC artist niece), Janie L (Hannan’s NYC cousin), Susan F(Jewish Philanthropy expert),Hilary K (Camp Sea-Gull Eden’s wife), Rob O (Marcie’s favorite man originally from Palmer Woods), Ilana M (best horse Doc. niece in town),Jennifer L (Women’s Department leader extraordinair), Hillary S (mom of 3 including 1 U of M Grad. ), Jessica C (Israel loving daughter of M&S), Lisa S(Gary’s better half), Lori R (mom of Western bound son, Jacob), Harriet O(Better half to Greg of Palmer Woods), Todd S (Karen’s handsome Todd the builder), Vivian H (spotlights our Jewish Detroit happenings), Barbara Z(wonderful daughter of community favorites D&E), Josh O (Hunt. Woods Lawyer dad), Debra C (good friend to displaced Texan Diane), Shelley W(fellow music lover), Noah L (Engineering son to neighbors J&M), Liz B (San Fransisco Photography Cousin), Sam O (best local soccer playing DJ brother of Penny), Andy M (Hunt. Woods architect Husband to Marla), Jennifer (Beautiful wife of Paul living in Orley’s old house), Orly R (Athletic Violin playing Ann Arbor student), Dolcy GR (Mom to violin playing kids), Deborah T (active community contributor), Beth G (ex-Franklin Fairway neighbor), Patty N(devoted mom and JWF trustee), Nancy GH ( Newly discovered Jewelry artist),Carli S (Teach for America big sis to Alisha and Dana), Bennett T (Suzi’s main squeeze), Dan B (Wendy’s future wedded bliss). Happy birthday one and all and sorry if I missed yours. A Mazel Tov goes out to Mohammed Ali as his grandson, Jacob Wertheimer recently became a Bar Mitzvah. Though Mr. Ali converted to Islam in the 1964, his grandson (who has a Jewish father) felt connected to his Judaism and has chosen it for his life. Kudos, this week, to President Shimon Peres on receiving the prestigious American Medal of Freedom bestowed upon him by President Barack Obama. Please add your signatures to the growing list of supporters for a minute of silence in memory of the 40th anniversary of Munich 11 (Israeli murdered athletes). Please remember to Vote in our Michigan primary on Aug. 7th. Click here for more info: http://www.michigan.gov/sos/0,4670,7-127-1633_8716—,00.html Please remind your newly legal voters to register so they can vote in our Michigan Primary on Aug. 7th and our general election on Nov. 6th. There are forces out there trying to sabotage our accessibility to our basic right to vote so let’s squash their efforts. And just this week, our conservative Michigan Congress threatened Women’s rights so our votes and actions are needed more than ever to bring in more like-minded legislators. As you are reading this week’s message, we were SUPPOSE to be in St. Petersburg, Russia. But “man plans and G-d (and the Russians) laugh”. My Russian visa was sabotaged so St. Petersburg (for us) was not meant to be. We will meet the Technion group (including my mom and Don) on the 2nd half of the trip in Israel. I was concerned about computer access and free time on this trip so with the magic of technology, this message was written prior to our departure, in the Newark airport and scheduled for delivery (to you) Friday morning at 6:00am (Detroit Time). Did you see this wonderful and creative youtube of Isaac’s proposal from last week. Apparently, it has logged over a million hits already. It is sweet and fun to watch: http://www.youtube.com/watch?feature=player_embedded&v=5_v7QrIW0zY#! Mazel Tov to Judi and Brad Schram for their family’s wedding celebration last weekend. Condolences to Jodi and Rob Goodman on the passing of Rob’s father, Dr. Milton Goodman. May his memory bring comfort to his mourners. I was so sorry to hear of the passing of Paulette Borin, an old and dear family friend from my growing up years in Palmer Woods. She was a tireless volunteer in our community well into her 80s and she will be greatly missed. Please join us at the US Holocaust Memorial Museum event at Rose and David Handelman to hear about the voyage of the St. Louis.